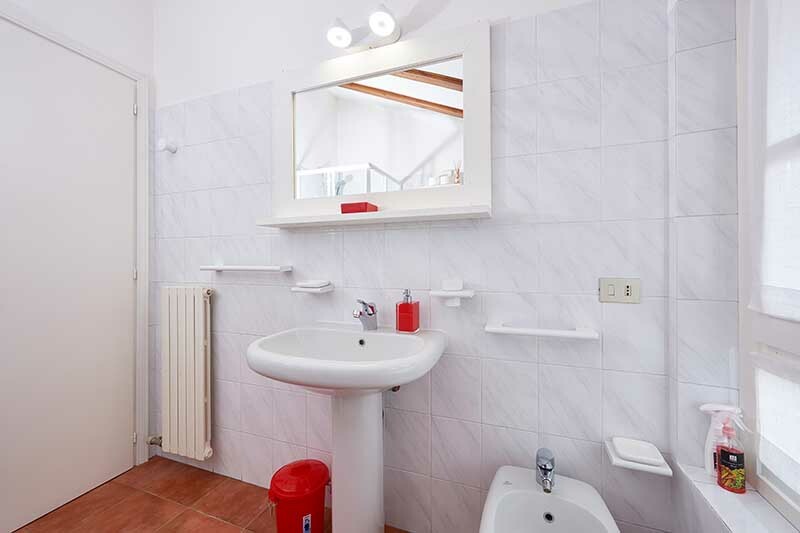 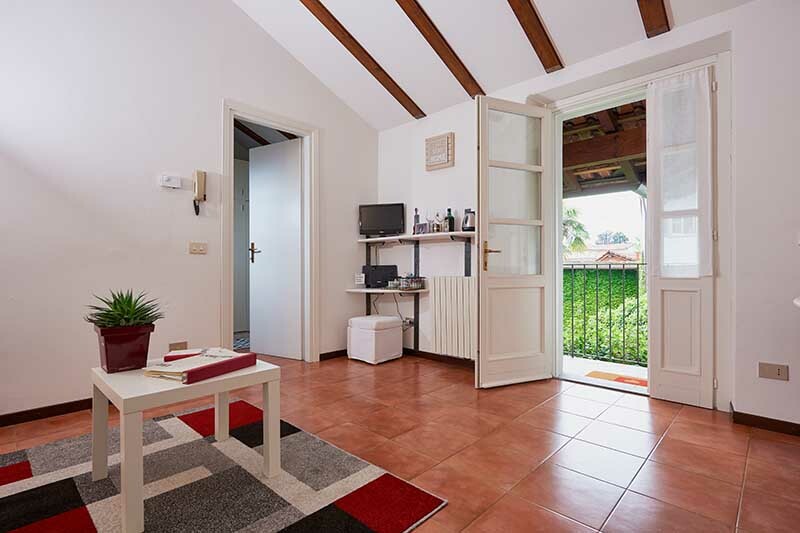 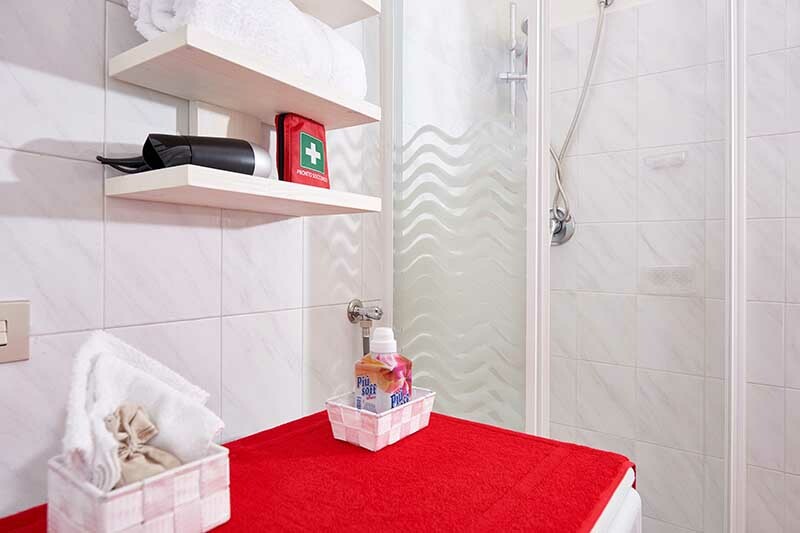 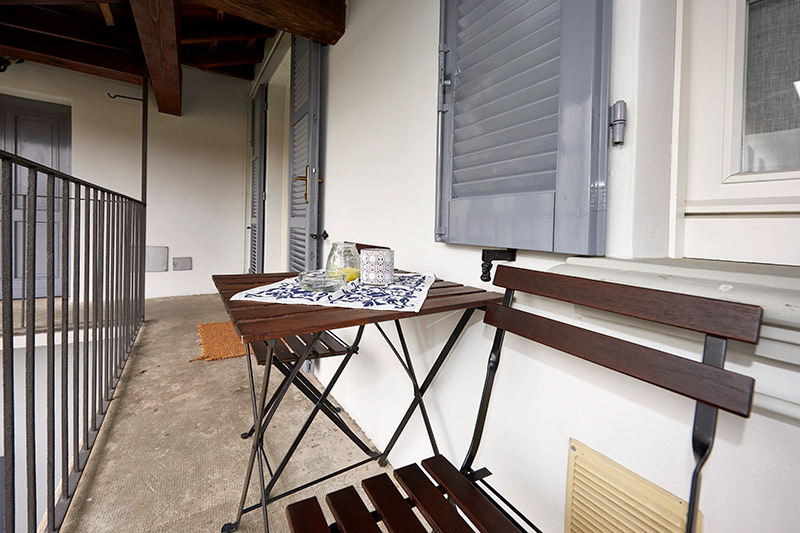 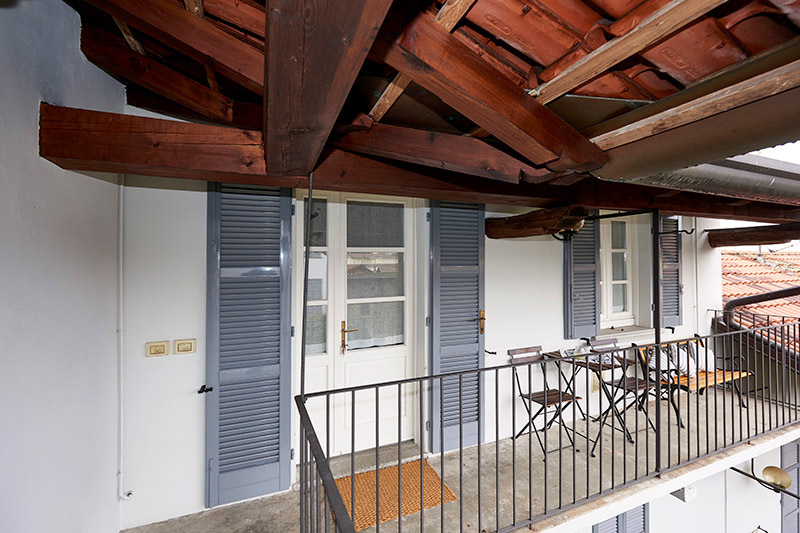 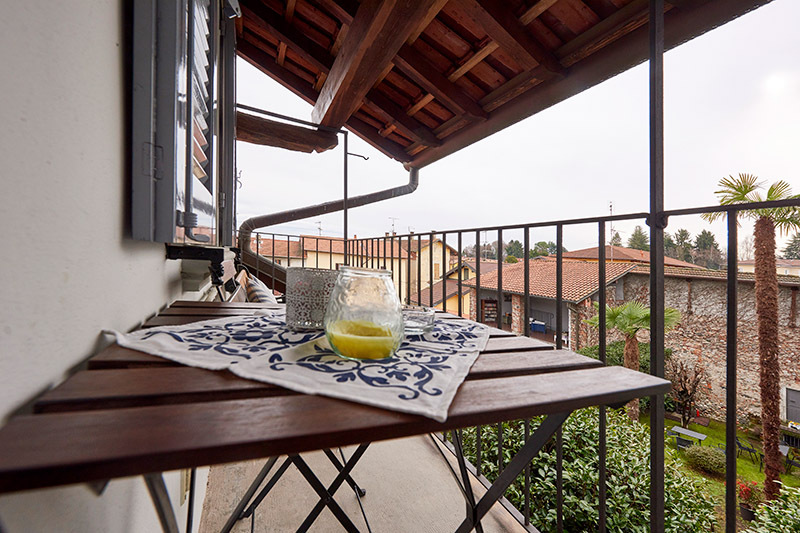 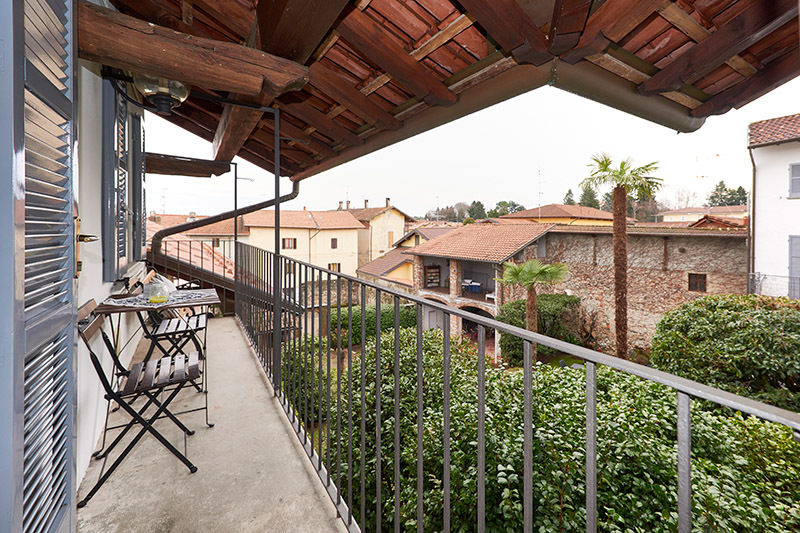 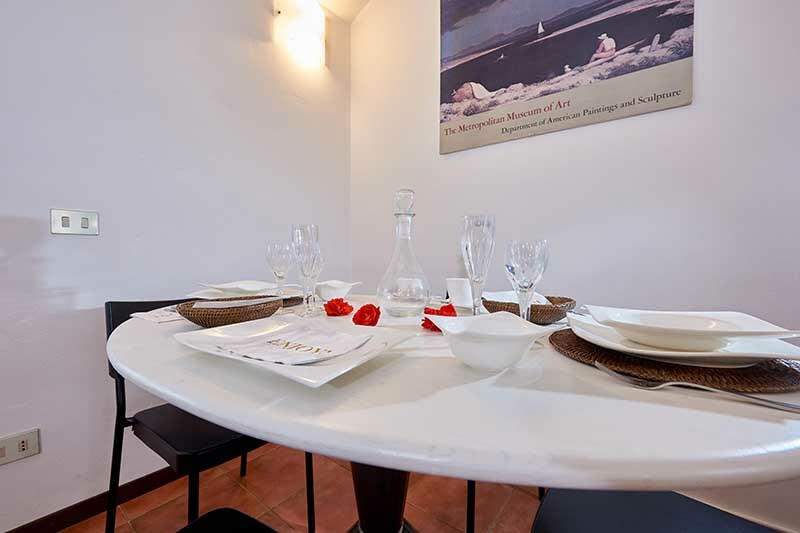 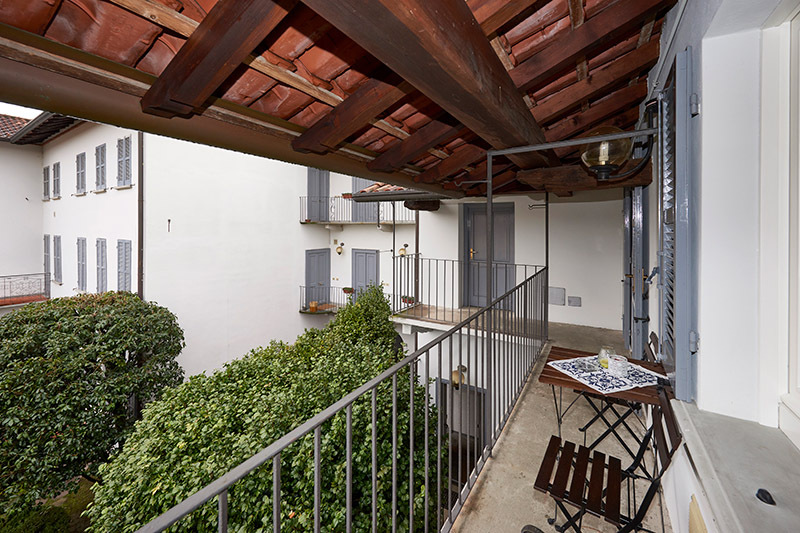 The Allevi apartment is a studio of 40 square metres. 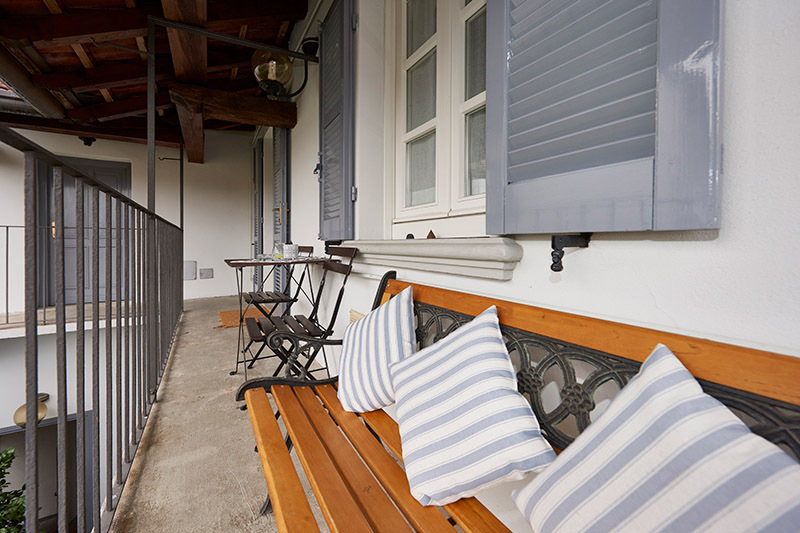 It is located on the second floor of the building, overlooking the interior garden with a private cozy balcony. 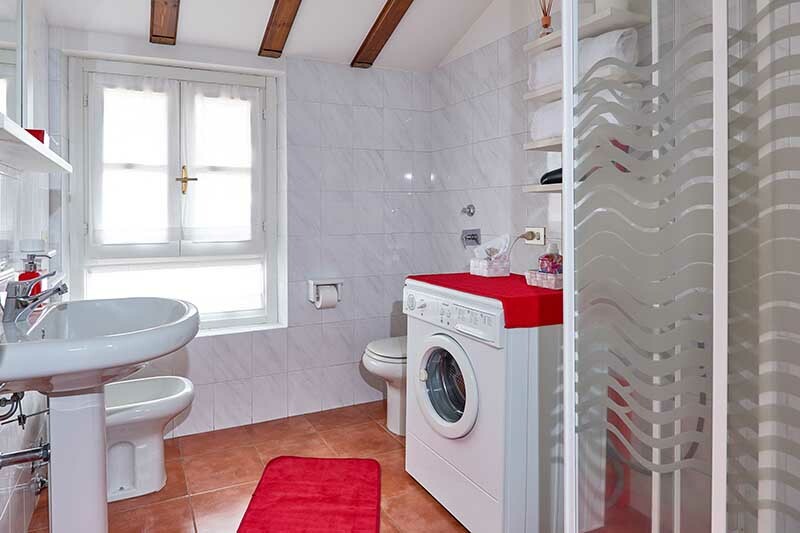 Most of the decor is modern. 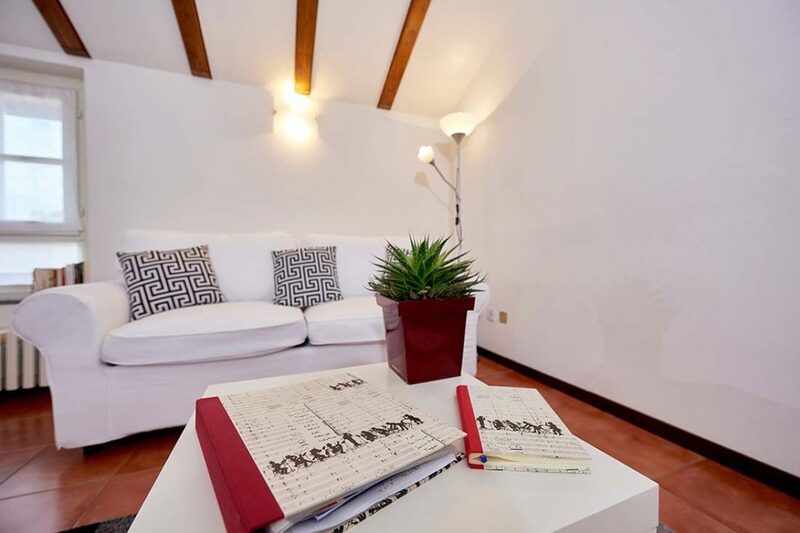 The apartment consists of a large living room with a comfortable two seater sofa which becomes a comfortable full size double bed. 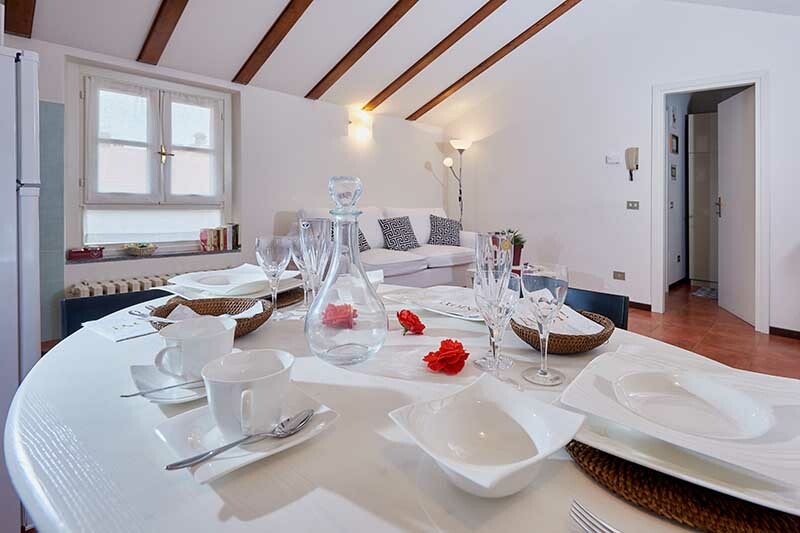 In the room there are a flat screen TV, Giovanni Allevi CDs and books in different languages at disposal, a table with benches for 4 seats and a kitchenette. 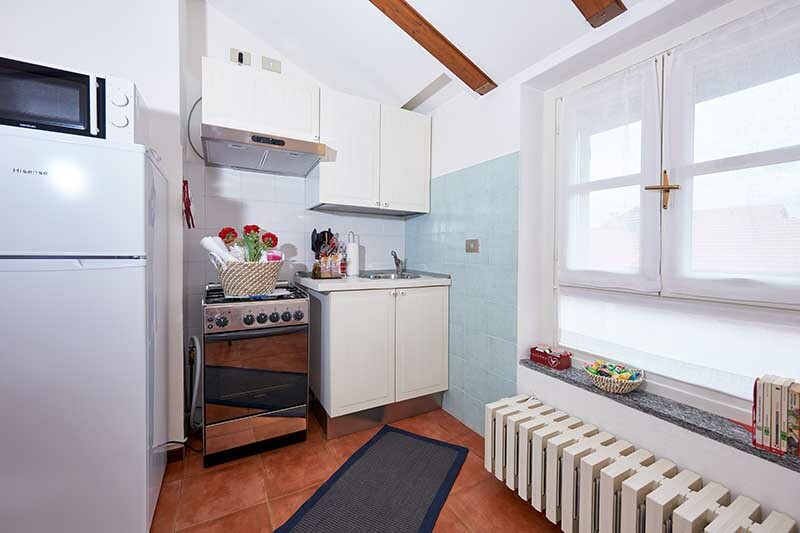 The kitchenette is equipped with all accessories: dishes, cookware, cutlery as well as toaster, kettle, coffee maker, microwave, iron and board.